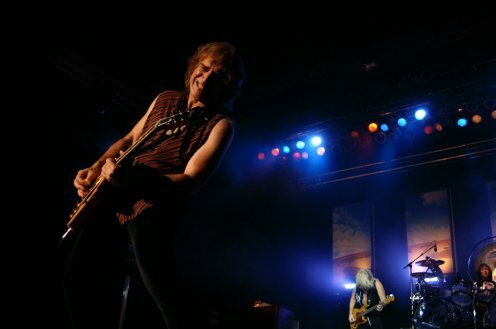 "WILLIAMSON TAKES GREAT SHOTS OF CARDINAL SCOTT SPIEZIO WITH REO IN ST. LOUIS! " INCLUDING PICS WITH CARDINAL SCOTT SPIEZIO!" 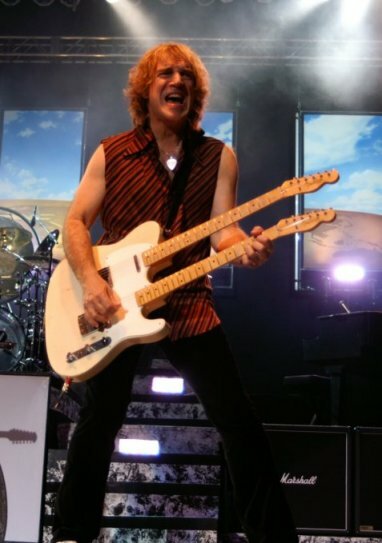 I received an email from Kenny Williamson who took some magnificent shots at the REO St. Louis Verizon Amphitheater show on September 8, 2007. Dave was amazing on this night, and there were times when he was right above me, hitting me with the "WOW" stick, and I had to remind myself I was there to take pictures. The last time someone had this effect on me, was Joe Perry from Aerosmith. 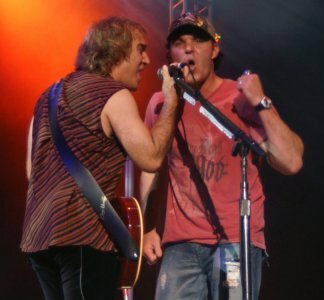 Kenny captured a rockin' moment with St. Louis Cardinal baseball player Scott Spiezio on stage with Dave. Scott is known not only as a great ball player ... but has been known to rock out with a band or two(including stints with Ozzy Osbourne and Rob Zombie and appearances on Jay Leno, and David Letterman). "The crowd went crazy, and Dave obviously loved the moment with all of us." "TAKE ME OUT TO THE REO SHOW!"